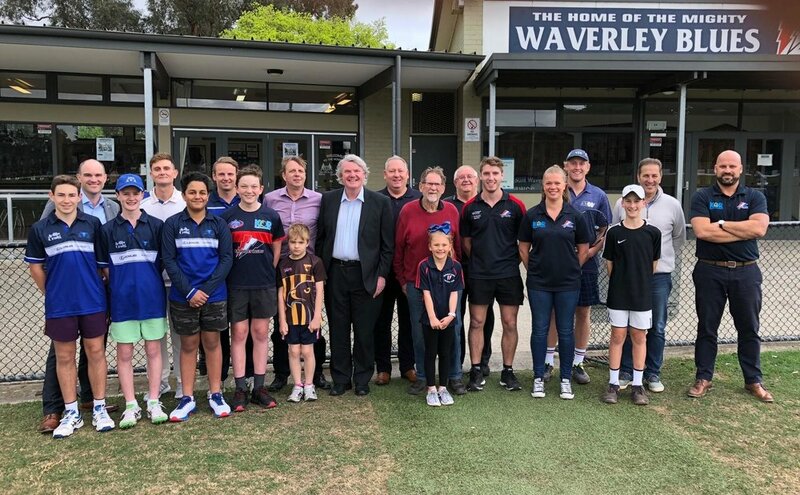 The Waverley Blues Football Netball Club is excited to let you know that we have secured an election commitment from the State Labor Government, should they be re-elected at the upcoming State Election on 24 November, for $150,000 of funding to be put toward a masterplan for the redevelopment of the facilities at Mount Waverley Reserve. Labor candidate for the seat of Mount Waverley – Matthew Fregon and sitting upper house member for the Eastern Region – Shaun Leane, have secured this funding commitment which will be a critical first step in redeveloping our facilities at Mount Waverley Reserve and securing our future as the community football Club of choice in the eastern suburbs. Over the last 12-18 months, our Club has been in ongoing dialogue with the Mt Waverley Cricket Club and Mount Waverley Tennis Club about developing a shared vision for a mutually beneficial redevelopment of the sporting and community facilities. Importantly, we have been able to build a strong relationship across all parties and alignment in a vision for a future redevelopment.